THANK YOU for visiting us here at Earthing Canada. 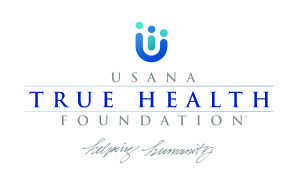 Your support enables us to donate to the USANA True Health Foundation, a not-for-profit charity that helps people in need, anywhere in the world. The USANA True Health Foundations mission is to provide the most critical human necessities — nutrition, clothing, shelter, medical assistance, and health education — to those who are suffering or in need. What sets the USANA True Health Foundation apart from other charities is that 100% all of donations go directly to helping those in need. All administrative costs are covered by USANA Health Sciences. Earthing Canada is committed to donating $1100 this year, and are thankful that an organization like the USANA True Health Foundation exists, allowing us to make giving back a habitual part of our lives.